Integrative care is an approach to healthcare that involves a partnership between provider and patient and considers the whole person, rather than only physical health or even just sickness. If you’re interested in learning how integrative care could benefit your health, book an appointment online or by phone with Dr. Pouya Shafipour in Santa Monica, California to discuss his philosophy and how it applies to your health. "He is truly a fantastic physician!" "He is incredibly well rounded in his knowledge." "This is the most incredible doctor I've ever gone to." "They really helped me with major lifestyle changes that led me to a healthier life!" "Dr. Pouya Shafipour is a genuinely caring physician." "Excellent location in an attractive office space, great people who know their stuff." "Dr. Shafipour changed my life!" Integrative medicine aims to treat the whole person rather than focusing on one specific ailment or disease. Dr. Shafipour’s goal is to ensure the body is as healthy as possible so you can enjoy optimal overall health. As a system, each component of your body is reliant to some degree on the rest of your body. An integrative approach seeks to treat the whole person to bring all these components into a healthy balance. How can integrative medicine help me? Integrative medicine services provide a healthy foundation for your general well-being. 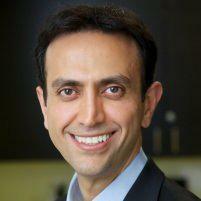 Dr. Shafipour’s integrative approach attends to all your needs through health education, guidance, and preventive care. He assesses every aspect of your health, including helping you manage weight so you can reduce your risk of weight-related diseases. What is included in Dr. Shafipour's integrative medicine approach? The integrative medicine services Dr. Shafipour offers focus on whole health by helping you understand the critical role your decisions play in your overall health. Nutritional guidance is critical because it helps you get the right balance of nutrients and maintain a healthy weight, improving your self-esteem and your physical health. Lab work, physical exams, and consideration of your medical history give Dr. Shafipour an understanding of your current health. Once he has a clear picture of your current situation, he has a baseline to develop a customized care plan that will work for you. Integrative medicine is a partnership between Dr. Shafipour and you. It's a different approach to health care that brings all factors that affect your health into consideration. Dr. Shafipour considers both conventional and alternative methods and treatments while keeping sound scientific findings in mind. Narrowing healthcare down to treating sickness does you a disservice. Dr. Shafipour knows that you're a unique individual who needs more than one-size fits all medicine. Integrative care means that you will have a customized plan that leads to a healthy life. If you’d like to learn more about Dr. Shafipour’s approach to integrative care and how it could help improve your health, schedule a consultation. He’ll be happy to answer your questions. We accept major PPO plans and Medicare insurance plans. We also offer affordable options for those without insurance or with High Deductible insurance plans. We are not on network with any HMO plans or medi-cal. Below is a short-list of just some of the plans we accept. Please contact our office with any questions. "Dr. Pouya Shafipour is a great doctor easy to reach, friendly to talk and most importantly he can give the correct diagnosis!" "Specifically, the reason why I would recommend him to anyone, is that he is very much of the mindset of prevention." "Attentive and kind. He consulted with me for a lot more than what I made my appointment for." "This is the only doctor I have met who is interested and educated re alternative/homeopathic treatments, a rare find!" "Dr. Shafipour is one of those special doctors who never stops researching and learning, in order to help his patients." Dr. Shaifpour and his amazing staff are amazing. He has helped me navigate some difficult health problems and blows me away with his compassion and knowledge." "Dr. Shafipour is brilliant. He's my Primary Care Provider. I've come to him with questions and concerns other doctors couldn't answer."